Size of this preview: 454 × 600 pixels. Other resolutions: 182 × 240 pixels | 363 × 480 pixels | 581 × 768 pixels | 775 × 1,024 pixels | 1,583 × 2,091 pixels. 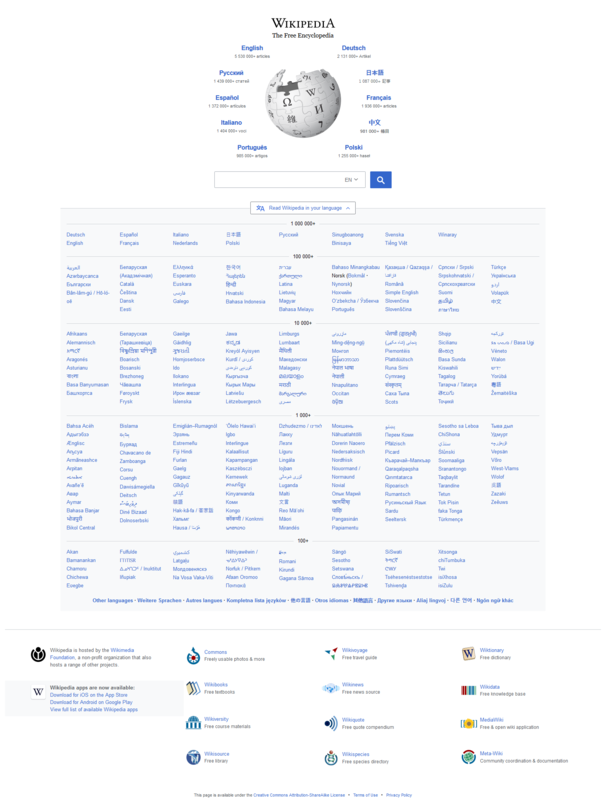 English: Screen photo of Wikipedia's multilingual portal at www.wikipedia.org. Author Wikipedia Portal Authors / Developers: See list. This file has an extracted image: File:Www.wikipedia.org screenshot 2018 (cropped).png.